India - the land of the Kamasutra - one of the most comprehensive treatises on love and passion - abounds with several hundreds and thousands of true love stories. While some of these legends of love were successful and lived happily ever after, many were tragic and resulted in these passionate lovers taking their lives, in order to keep the flame of their love alive! Many of these love stories are famous throughout the world and have been immortalized through films and the written word. 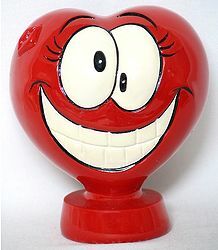 Being Valentine’s Week, this is again the time of the year when love is in the air and is actually palpable all around. Keeping in mind the current amorous atmosphere, we bring you these greatest love stories. In order to cover the most important love stories, we are splitting the article into two parts. This month, we bring you Part One - the most touching heart-warming love tales ever told. We hope you enjoy this experience of love. The romance of Shah Jahan and Mumtaz Mahal is undoubtedly the greatest ever love story of the 17th Century, recorded during the Mughal Rule in India. This is a tale that never fails to pull on the reader’s heart strings. 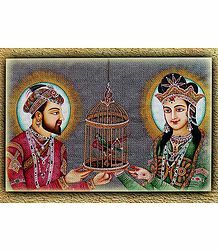 In the year 1612, a young teenage girl, named Arjumand Banu; wedded Prince Khurrum Shihab-ud-din Muhammed; the son of Jehangir, the 4th Mughal Emperor of India; also the grandson of Emperor Akbar. In 1607, while walking along Meena Bazar, Shah Jahan spotted a girl hawking silk and glass beads. He immediately fell in love with her. At that time, he was 14 years old and she, in actuality a Muslim Persian Princess, was 15. He rushed back to his father and stated that he wanted to marry that girl. The families met and the match got fixed. They were officially betrothed, but got married only 5 years later. Once he married her, he renamed her Mumtaz Mahal, or the "Jewel of the Palace". She soon became his favorite wife - Shah Jahan was madly in love with Mumtaz Mahal and always strove to fulfill all her wishes. On ascending the Peacock Throne in 1627, Prince Khurrum came to be known as Shah Jahan, or the "King of the World". Shah Jahan had other wives as well, but he only had eyes for his lovely Mumtaz. She would go everywhere with him, even on military campaigns. She was not only his wife, but also his closest friend and confidante. In 19 years of wedded bliss, she bore him 14 children, out of which 8 died young. Sadly, she too died a tragic death while giving birth to the 14th child. As she lay on her deathbed, Shah Jahan promised her that he would never ever remarry and that he would construct the world’s most beautiful mausoleum over her tomb. After her passing, Shah Jahan became a complete recluse and went into private purdah for almost 2 years, after which he emerged shockingly haggard-looking, hunchbacked and white-haired. The intricately carved and domed Taj Mahal; literally meaning, "Crown of Palaces"; is a magnificent monument made of white marble, sitting on a sandstone platform. 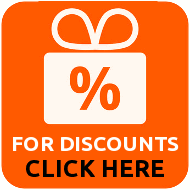 It is located in the Agra region of Uttar Pradesh, India; along the southern bank of the Yamuna River. This stunning monument is considered a jewel of Mughal art; an undying part of India’s rich heritage; and most importantly, the greatest tribute to eternal, true love. Famed English poet, Sir Edwin Arnold has described it as follows: "Not a piece of architecture, as other buildings are, but the proud passion of an emperor's love wrought in living stones". Commissioned in 1632 by Shah Jahan, this massive structure beautifully blends elements from Indian, Islamic, Persian, Turkish and Ottoman styles of architecture. Employing close to 20,000 artisans, the construction of this complex edifice began around 1632 and took about 22 years to complete. The work on the Taj Mahal; headed and supervised by Ustad Ahmad Lahauri, an Indian of Persian descent; finally concluded in the year 1653. The interior of the edifice is richly decorated with lapis lazuli, agate, turquoise, jasper and colored marble. The exterior is paved with other semi-precious stones, which add to the overall regal look of the structure. The approach path is decorated with a beautiful, lush garden, containing 4 water channels. These symbolize the 4 rivers of Islamic paradise. The highlight of the Taj Mahal is the massive 137-foot high dome, which royally crowns it. Shah Jahan died in 1666. His body too was placed in a tomb built inside the monument, alongside that of Mumtaz Mahal. He intended to build a black marble mausoleum for himself, but did not succeed in completing it. His cruel son, Aurangzeb, put him under house arrest in the Red Fort of Agra. Shah Jahan spent several lonely months starting across the Yamuna River, at the monument he had so lovingly commissioned. 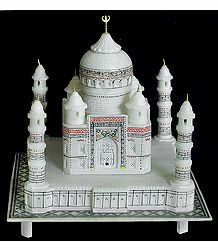 The Taj Mahal is one among the Seven Wonders of the World. Through the years, reams of prose and poetry have been penned by various authors and poets, relating the undying love between Shah Jahan and Mumtaz Mahal. 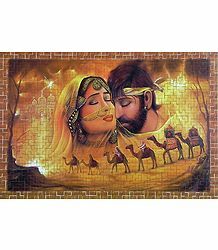 The love story of Laila and Majnu originated as a short poem in ancient Arabia. But later, it became increasingly popular, thanks to a literary adaptation of the story by the Persian poet Nizami Ganjavi. Incidentally, he also penned the love story of "Khosrow and Shirin", which we will be bringing you later in this very article. Qays and Laila met when they were very young - they instantly fell in love with each other. But as they grew up, Qays became obsessed with his lady love - he became as if possessed. This is how he earned the name "Majnu" - the one possessed or a madman. He began composing poems and songs narrating his immense love for her. Laila’s father opposed their love and drove Qays away when the latter requested her hand in marriage. This was because Laila’s father considered it blasphemous for his daughter to marry a madman. Soon after, Laila was given away in marriage to another man. When Majnu learnt about the marriage, he left the tribal camp and wandered away into the nearby desert. His family forever hoped that he would return to them - they even kept food for him everyday, hoping that he would come and eat it. But he preferred the loneliness of the desert. He would often be seen reciting poetry to himself or writing in the sand. In the meantime, Laila moved to Northern Arabia with her husband. In a few months, she fell ill and eventually breathed her last. According to some versions, which came later on, she died of heartbreak of not being able to live with the love or her life. Majnu too was found dead shortly after, in 688 AD, in the wilderness. He was found lying near her grave. He had carved three verses on a rock near the grave. The story of Laila and Majnu is a tragedy, much like Romeo and Juliet. The unfortunate lovers here could never marry or celebrate their togetherness. Sadly, their love and passion for one another had to die an unnatural death. Layla means "darkness" or "night". This is symbolic of secret, hidden love that Laila and Majnu had for each other. The story of Laila and Majnu have been written, narrated and adapted differently in many different parts of the world. In Persia, the story of Leylie o Majnoon started being popularized in the 12th Century, by Nizami Ganjvi. With the rise of its popularity, many other writers brought their own version and flavor to the original story. This story features in Azerbaijani literature as well. Dastan-I Leyli vii Mexnun (The Epic of Laila and Majnu) was penned in the 16th Century by Fuzuli and Hagiri Tabrizi. It went on to be adapted as the very first opera to be staged in the Middle East. Several Sufi writers refer to the name Layla in their poems as well. There are various other adaptations of Nizami’s original work, in several languages of the world. This work was translated in English by Isaac D’Israeli in the 19th Century, so that it could be reached to a much wider audience around the world. In India, the story is set in Rajasthan, with their graves believed to be located in the Bijnore village in the Sriganganagar district. According to this legend, Laila and Majnu are believed to have fled their respective homes, in order to set up their home in this region. In yet another version, Laila and Majnu fell in love when they met in school. The school master was angry that Majnu would pay attention only to Laila and not to his books. Strangely, when he beat the boy, Layla would bleed for his wounds. When their families came to know about this, they had a massive fight, due to which the young lovers were separated from each other. However, they met again in their youth. Laila’s brother, Tabrez, was insistent that he would never let his sister marry a madman such as Majnu. Both the men fought over Laila and, in a moment of utter madness, Majnu murdered Tabrez. He was arrested and was sentenced to be stoned to death. A grief-stricken Laila agreed to marry another man if they could promise her that Majnu would be kept safe from harm. Accordingly, she got married to another man, but her heart longed for her Majnu. Both died shortly after, of a broken heart. Legend has it that they met in heaven and lived and loved each other forever. To this day, hundreds of lovers and newlyweds from both India and Pakistan visit this village to pay their homage to the eternal lovers; and also to take part in the 2-day fair, held in June. Couples line up to seek the blessings of Laila and Majnu and many lay a chadar (sheet of cloth) on their shrines and pray to them. Devotees offer visitors prasad and a langar (free meal) and also conduct devotional music programs in the night. The inspiring love story of Laila and Majnu have given rise to several poems, books, songs, operas, dance ballets, documentaries and films in multiple languages, spanning across several cultures around the globe. The Indian film industry has produced various films on this subject, starting as early as the 1920s. Heer Ranjha is yet another tragic love story of Punjab. Heer was a lovely young woman, born into a wealthy family. She belonged to the Sayyal clan in Jhang, Punjab. Ranjha, whose first name was Dheedo, was a Jatt of the Ranjha clan. He was the youngest of 4 brothers and resided in the village of Takht Hazara, located by the Chenab River. Being the last child and also the favorite of his father, he led an easy life, unlike his other brothers, who toiled away in the fields. He would play his Bansuri (flute) for much of the day and merely idled away his time. His brothers always resented the fact that he never helped them out with their work. One day, he quarreled with them over their family property and left home. According to another popular version, Ranjha left home because his brothers’ wives refused to keep feeding someone who never contributed to the family’s finances. He wandered around for some time and finally reached Heer’s village. He took one look at her and fell for her. Her father offered Ranjha the job of herding his cattle. Heer would often listen to Ranjha playing his flute so melodiously and slowly and surely, fell in love with him. They continued to meet secretly, until Heer’s uncle, Kaido, discovered their love and brought it to the notice of her parents, Chuchak and Malki. They, along with the local priest, forced her to marry another man, Sadashiv Khera. Hearing of her wedding, Ranjha was heartbroken and wandered around the countryside, all alone. He then met an ascetic, Baba Gorakhnath, the founder of the "Kamphata" sect of jogis (ascetics) at Tilla Jogian, located about 50 miles away from the town of Bhera, in Sargodha District. Ranjha then decided to renounce the world and became a jogi himself. He would forever take the name of Lord Shiva, chanting "Alakh Niranjan. He started wandering from village to village, chanting the Lord’s name. Soon, he reached the village where Heer happened to live. The minute she saw Ranjha, she knew that her love for him would never die. She decided that it is high time that she left the Khera family and got together with her soul mate, Ranjha. Reaching her parents’ home, she managed to convince them to allow her to leave her husband and marry Ranjha. They were completely shocked by her request, but with time, realized that their love was true and that nothing would ever destroy it. They finally consented to Heer’s marriage with Ranjha. The wedding date was fixed and the preparations made. However, the main villain, Kaido, did not want the marriage to take place. He poisoned Heer’s food and made it look like a poisonous snake had bitten her. Hearing of the news, Ranjha rushed to the spot. But he was too late - the strong poison had acted on her and she had already breathed her last. Brokenhearted once more; also realizing that her uncle had poisoned Heer; Ranjha took the laddu (sweet), which she held in her hands and took a bite of it. In a little while, he too fell dead by her side. Heer and Ranjha were buried side by side in the former’s hometown. Visitors, especially lovers, pay a visit to their mausoleum in order to seek their blessings. There are several other versions of this love story, of which the most popular one is that of Waris Shah, penned in 1766. This has also found its way into poetry, as written by Damodar Das Arora. Ahmed Gujjar, Mukbaz and so on. Some of these poems have happy endings, where the lovers get married and live happily ever after. Waris’ version has the tragic ending as mentioned above, thus lingering in the mind of the reader. 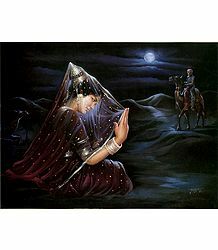 It is believed that Waris, at the beginning of putting his work on paper, meant for the story of Heer and Ranjha to have a deeper spiritual connotation - that of the relentless human quest for God. 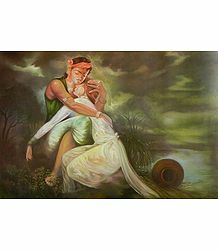 Some experts aver that the intensity of Ranjha’s love for Heer, as depicted by Waris, was actually a reflection of his own passionate love for a woman named Bhaag Bhart. The epic story of Heer and Ranjha has inspired several feature films. The oldest Indian versions included the pre-partition film, Heer Ranjha, which was produced as early as 1928. Subsequent versions came up in 1929, 1981 and 1948. All of these were named Heer Ranjha as well. Probably the most famous one is Heer Ranjha, the Hindi film, directed by Chetan Anand, starring Raaj Kumar and Priya Rajvansh. Other versions include Heer Ranjha (1992) and the Punjabi film Heer Ranha (2009). There have been Pakistani versions of this film as well. These include the superhit film, Heer, produced in 1955 and Heer Ranjha in 1970. In 2014, PTV Home aired the television serial, Heer Ranjha, directed by Shahid Zahoor. Around the 18th Century, a lovely-looking girl, Sohni, was born to a potter name Tulla. Tulla came from the Kumhar caste and lived in Gujrat City, Punjab. At that time, Gujrat was located along the river Chenab, between Bukhara and Delhi. As Sohni got older, she started helping her father with decorating his pots and setting them up for sale. Shahzada Izzat Baig, who was a wealthy trader from Bukhara, came to Punjab on business and decided to stay over at Gujrat. He happened to notice Sohni sitting at the shop and was immediately smitten with her beauty. So besotted was he, that he would visit the shop everyday to purchase mugs, pots and pitchers from her. Seeing his ardor for her, Sohni too started falling for him. Instead of returning with his caravan, Izzat Baig decided to stay on in Gujrat and chose to work as Tulla’s servant. He would often take their buffaloes for grazing. He thus came to be known as Meher or Mahiwa (buffalo herder). When the Kumhar community came to know about their love, the people crated a ruckus about it. They would not have a daughter of that community marry an outsider. Hence, her father immediately arranged her marriage with another potter. Sohni did not want to get married to the potter and felt helpless. But she was married off against her wishes and was sent to her husband’s house. Izzat Baig decided to renounce the world and started wandering around like a fakir (mendicant). He finally settled himself in a small hut, just across the river, opposite to Sohni’s marital home. Sohni knew that she would never be able to forget her love and so, she would swim across the river every night, in order to be with him. She used an inverted hard-baked pitcher and would travel sitting on it. On his part, he used to catch fish and bring it for her. According to one version of the tale, Mahiwal could not catch fish one night due to high tide. He then cut off a piece of his thigh and roasted it. Sohni was not aware of this, but when she bit into the meat, it did not taste like fish. When she knew the truth and saw the deep cut on his thigh, she cried out, feeling his pain. Rumors of their secret romance spread like wild fire. One day, Sohni’s sister-in-law spied on her and discovered the place where she hid her earthen pitcher. She quietly took it and replaced it with an unbaked pitcher. That night, when Sohni tried to cross the river sitting on the pitcher, it dissolved and she drowned in the river. Mahiwal saw her drowning and jumped into the river to save her. But he too got caught in the strong tide and drowned in it. According to the Sindhi version, Sohni is said to belong to the Jat tribe, living on the western bank of the Indus. Her husband, Dam, is believed to live on the eastern bank of the same river. Mehar gave her some milk to drink during her marriage procession and it was the milk that made her fall so much in love with him. Legend has it that the bodies of Sohni and Mahiwal were fished out from the Indus River, near Shahdadpur, Sindh. Sohni’s tomb is situated at Shahdadpur. This place attracts several hundreds of visitors and tourists, who come to revisit her life story and experience the love and peace all around. The tragic story of Sohni and Mahiwal’s love continues to inspire poems, songs, paintings, plays and films, through the centuries; both in India and Pakistan. Four Hindi films have been made, all named Sohni Mahiwal, in 1933, 1946, 1958 and 1984. "Khosrow and Shirin" is the title of yet another famous tragic love story written by Nizami Ganjavi. 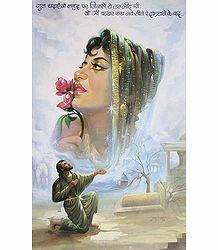 This fictional creation elaborates on the love between the Sasanian King, Khosrow II, and the Armenian princess, Shirin. There are several variants of this story, alternatively titled "Shirin and Farhad" and "Farhad and Shirin". Nizami’s version of the story starts with Khosrow’s birth and childhood. As a young boy, he once had a meal in a farmer’s house, for which he was severely scolded and punished by his father. The boy asked for forgiveness from his father and promised him never to repeat the mistake. The father then relented and forgave his son. The same night, Khosrow saw his grandfather, Anushirvan, in a dream. He blessed his grandson, predicting that he would marry a lovely woman named Shirin; would own a steed named Shabdiz; meet a musician named Barbad and beget a great kingdom, Persia. Shapur, Khosrow’s good friend and a painter, told him about the Armenian queen, Mahin Banu and his niece, Shirin. The young prince fell in love with Shirin even as his friend merely described her to him. Shapur then traveled to Armenia to find Shirin and showed her an image of Khosrow. Seeing his picture, Shirin immediately fell for him and decided to escape from Armenia in order to be with him. In the meantime, Khosrow also left from home in search of Shirin. They both happened to meet each other on the way. Shirin was bathing and washing her hair. Khowrow was dressed in a peasant’s clothes. Hence, they failed to recognize one another. Khosrow reached Azerbaijan and was given a warm welcome by Shamira, the queen of Armenia. It was then that he realized that Shirin had left the palace in search of him. Shapur succeeded in passing on the message to Shirin. However, by the time she came back to Armenia, Khosrow had to return to his place, due to his father’s ill-health. The lives of the two youngsters kept going on in parallel lines, without them ever meeting; until Khosrow was overthrown by a general named Bahram Chobin. The former escaped to Armenia. Khosrow finally got to meet Shirin in Armenia. She was very happy to meet him, but refused to marry him until he claimed his country back from Bahram Chobin. Thus, Khosrow traveled from Armenia and went to Constantinople, where Ceasar agreed to help him fight Chobin. He, however, placed a condition that Khosrow should marry his daughter, Maryam. He further had to promise that he would not marry anyone else when Maryam was alive. Khosrow won the battle against Chobin and reclaimed his land and throne. However, Maryam did everything in her power to keep him away from Shirin. In the meantime, a sculptor named Farhad, met and fell in love with Shirin. Khosrow became jealous of Farhad and so, sent him on exile to the Behistun mountain, assigning to him the impossible task of carving stairs on the rocky cliff. Farhad commenced his task, in the hopes that he would be able to succeed and then marry Shirin. Khosrow, however, was unwilling to part with Shirin and sent him a message that Shirin was no more. On receiving the false news of Shirin’s death, Farhad was aggrieved and decided that he could not live without her. He threw himself off from a mountaintop and died. Khosrow wrote a letter of condolence to Shirin after that. Soon after that, Maryam too died. According to some versions, Shirin secretly poisoned Maryam. Shirin then replied with her own letter of condolence. Before proposing marriage to Shirin, Khosrow had an affair with another woman. This further delayed their union. Finally, he went up to Shirin to propose to her - he was in a totally drunk state. Shirin reproached him for his behavior and rejected his proposal. However, he continued ot woo her, till she finally accepted her proposal. The story takes another unexpected turn here. Shiroy, Khosrow’s son from his wife Maryam, also fell in love with Shirin. So strong was his lust that he murdered his own father and sent a message to Shirin conveying the news, after a week. He also asked her to marry him. Shocked by the news and not wanting to marry Shiroy, Shirin killed herself. Khosrow and Shirin were then buried together in one grave. This tale of love and passion is very popular not only in Persia, but the world over. Countless Sufis have been inspired by this story and it has been the subject of many songs and films in India. Set in Rajasthan, the popular drama narrates the love between Reshma and Shera, in the midst of a violent feud between their respective clans. When the families find out about their love for each other, it results in tremendous violence and bloodshed. On Shera’s father’s command, his brother Chotu kills Reshma’s father and newlywed brother. This act leads to yet more misunderstanding and bloodshed. A variant of Romeo and Juliet, this story regales its audience an insight into the highly patriarchal family structure of olden times. The Rajputs residing in the villages of Pochina and Karda were old rivals. The Chaudhury or headman of Pochina was known for his violent and unforgiving nature. He was just celebrating the murder of Chaudhury Sagat Singh of Karda. In the meantime, his only son, Gopal, along with his beautiful sister Reshma, left for a fair dedicated to the Patron Goddess of Jaisalmer. She invoked Devi Durga’s grace during their travel and then the brother-sister duo started their travel. Sagat Singh’s sons, Jagat, Vijay and the mute Chotu, too left for the same fair, along with their elder brother, Shera. Before leaving, Shera asked his brothers to refrain from all kinds of violence during the course of the pilgrimage. As fate would have it, Reshma and Shera happened to meet each other at the fair and instantly fell in love. Seeing them there, his brothers proceeded to attack Gopal with their swords. But Shera stopped them, reminding them of their promise to stay away from violence. Reshma and Shera would meet often by night, sitting near a bonfire in the dunes just outside her village. They both vowed to end the enmity between their families. Shera decided to visit her family and pay respects to them during Gopal’s upcoming marriage ceremony. However, the senior Chaudhury refused to fall in with their plans and turned the wedding into a gory bloodbath. He ordered his sharp-shooting son Chotu to murder Reshma’s father and recently married brother. Unable to come to terms with Gopal’s wife being widowed in such a tragic fashion, Shera kills his own father, believing that it was he who pulled the trigger. Shera went to the point of extreme vengeance, which, Reshma knew, could be stopped only if she sacrificed herself. Accordingly, she decided to marry Shera’s kid-brother Chotu and thereby, end the feud for once and for all. This sent Shera over the edge and he commited suicide. Reshma also ended her life, rolling down a massive sand dune, towards his body. Their bodies lay together and a violent sandstorm, which seemed to appear from nowhere, covered their bodies, thus uniting them forever in death. The 1972 Hindi film, "Reshma aur Shera", starring Sunil Dutt, Waheeda Rehman, Rakhee, Amitabh Bacchan and others, went on to become a huge hit at the time. We will be bringing you the next set of love stories in our subsequent issue. In the meantime, we hope you enjoy your Valentine’s Week.